You are currently browsing the archive for the MSX category. 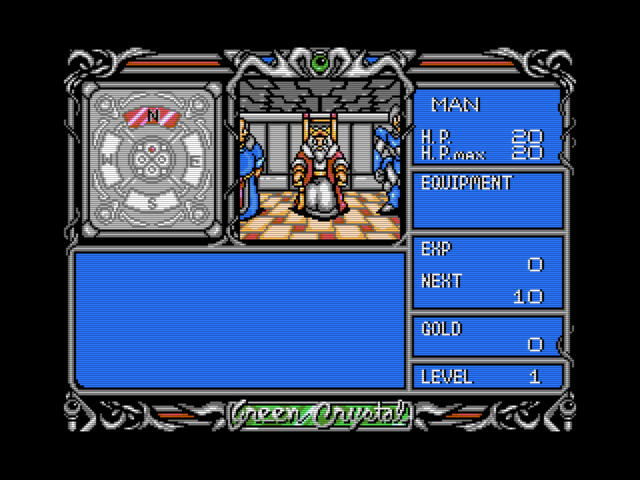 Green Crystal is a 1991 game by Compile. As best as I can tell, it came out in a compilation disk called Disc Station Magazine #32. 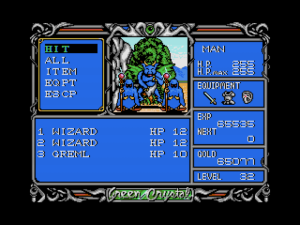 It’s basically a Might and Magic like game on the MSX 2. 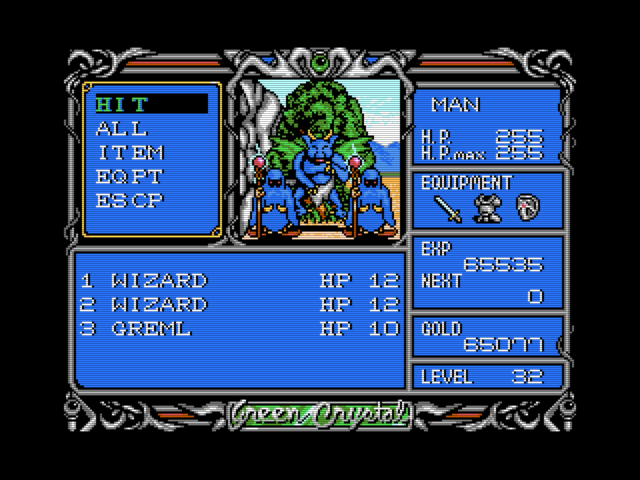 This fight shows three monsters attacking on the road. The fighting system is fairly basic. Enemies don’t have a lot of animation, and the game has a typical level of grind for this kind of game. There are handy icons showing you if you have weapons equipped. As best I can tell, the fights are purely attacks from the hero versus the enemy’s attacks. There doesn’t seem to be any magic unless if there are magic items to use in battle. NPCs have large and well detailed sprites. Here, the hero finds the king. Zombie Hunter is a very early action RPG (at least, according to the game cover.) By modern standards, the game does not really feel like an RPG to me. It came out in Japan in 1987 for the NES, and there was a 1988 port for the MSX. King Mike translated the game into English. 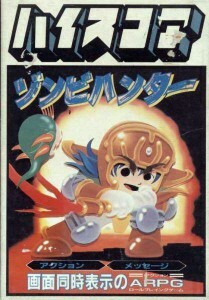 The NES cover of the game has some amazing eyebrows.